Long years have passed since the last time Swedish powerhouse DREAM EVIL unleashed their brand of Metal. That silence is about to be shattered with the release of their new in-your-face sixth album, aptly titled Six, on May 26th, 2017 via Century Media Records. 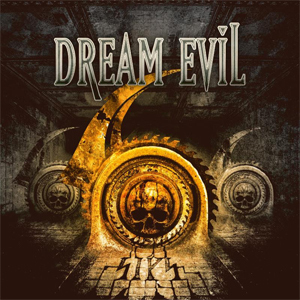 DREAM EVIL checked in with the following comment about the upcoming release: "Finally, SIX years after the release of In The Night we started to record our new album entitled Six, which is DREAM EVIL's album number SIX. We know it took us a while to get our thumbs out of our asses, but now the wait is over and we are sure the new material has made the waiting time worthwhile. On May 26th the time is here, it's time for Six." While DREAM EVIL are currently busy shooting video clips for the new album with longtime partner in visuals Patric Ullaeus/www.revolver.se (IN FLAMES, LACUNA COIL, DIMMU BORGIR, ARCH ENEMY, WITHIN TEMPTATION, etc. ), there is already a first trailer for Six that you can check out below.